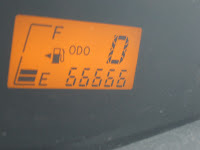 I reached a non-important personal milestone on Tuesday. 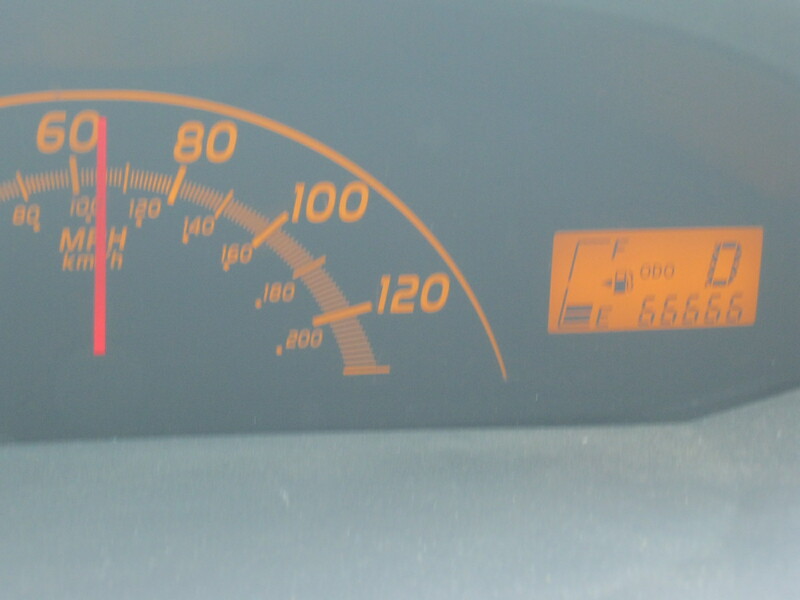 I managed to capture the moment my odometer reached 66,666 miles. This doesn't mean anything crazy or demonic or whatever. There's a couple extra sixes in there for good measure. 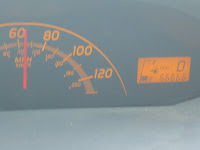 This is not important to anyone but me, but I have been trying to photograph a neat-o sequence of numbers on my odometer since I bought my first car in 2000. It's very difficult to do if you are the driver and rarely have passengers. Pulled over for this picture.